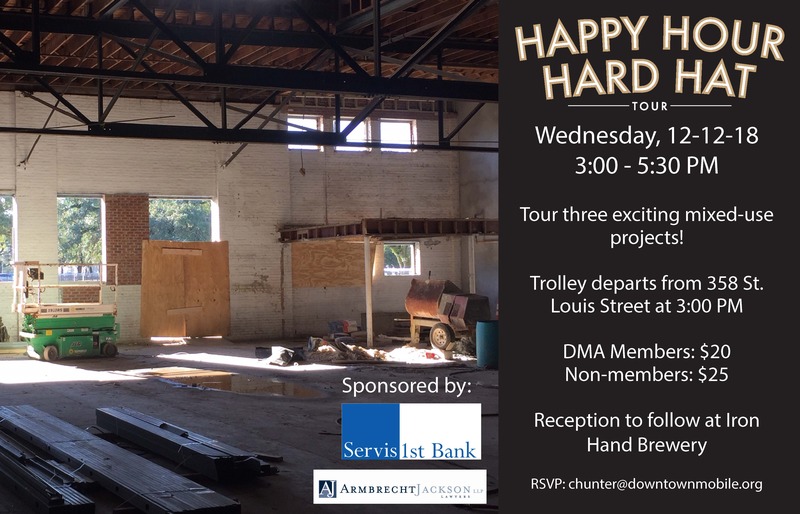 Tour three of Mobile's most exciting new redevelopment projects -- three historic buildings taking on new life! Two are former car dealerships and the third was most recently a chapel. Park at 358 St. Louis Street, the future home of Innovation PortAL, and board a trolley for the tour. We'll visit the Wheeler Building, the former Red Cross building and end with a tour of Iron Hand Brewery. $20 for members of the Downtown Mobile Alliance, $25 for non-members.